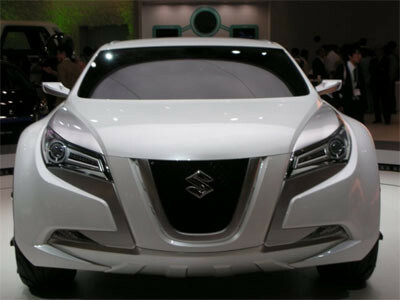 Maruti Suzuki India Limited is gearing up to launch a new sedan in India. The new model Kizashi is expected by early 2010 and is still in the concept stage for India. The car was first unveiled at the Frankfurt Motor Show in 2007 and later at the 9th Auto Expo in New Delhi in 2008. The car is expected to be priced at Rs. 10 lakh or above which means it will come with all the desired luxuries of a mid-level sedan. Kizashi sports a superb aero-dynamic design with front view featuring a completely stylish look. The tapering headlights and classic front design lend a view to the model that is unseen so far in Maruti small car models in India. This new upcoming model can rightfully be attributed as a cross-over sports sedan. Maruti has recently launched another small car model, Ritz, in India but the model is yet to make its impact in the Indian market. Maruti Suzuki India Limited is India’s largest car manufacturer and sells nearly every second car in India. The company intends to expand its product portfolio especially in the sedan segment as its major sales comes from its small cars in the country. Out of its overall car product portfolio, Swift and Dzire are the two models that attribute for a major chunk of its sales figure. Dzire is the entry level sedan from Maruti. "My concern is about the quality of our growth. Although we achieved good overall national numbers, the region-wise and model-wise performance was not uniform. We relied mostly on Dzire and Swift to power our growth," said MSI Maruti Suzuki India (MSI) Managing Director and CEO Shinzo Nakanishi.